I traveled for the first time to France for a 10-day stay, taking in Montpellier, 2 days in Paris and a trip to St-Guilhem-le-Desert. 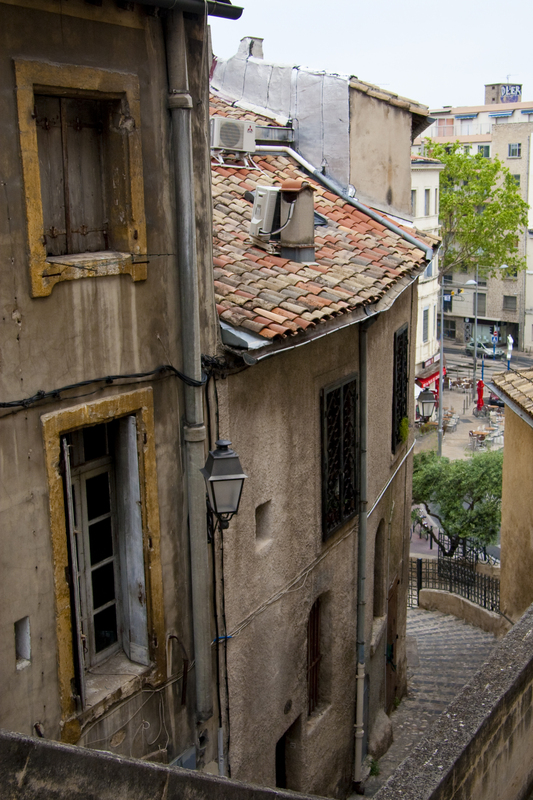 It was too short of a trip for such a beautiful country!Once in Montpellier, in a section of the city called Antigone, I walked about to get the feel of France. After a few days of wandering the streets, eating French food and relaxing, I came upon the historic jewel of this city quite by accident. Entering the large square where the Opera Comedie stands, in the midst of ornate and aged architecture, I found bustling throngs of people. 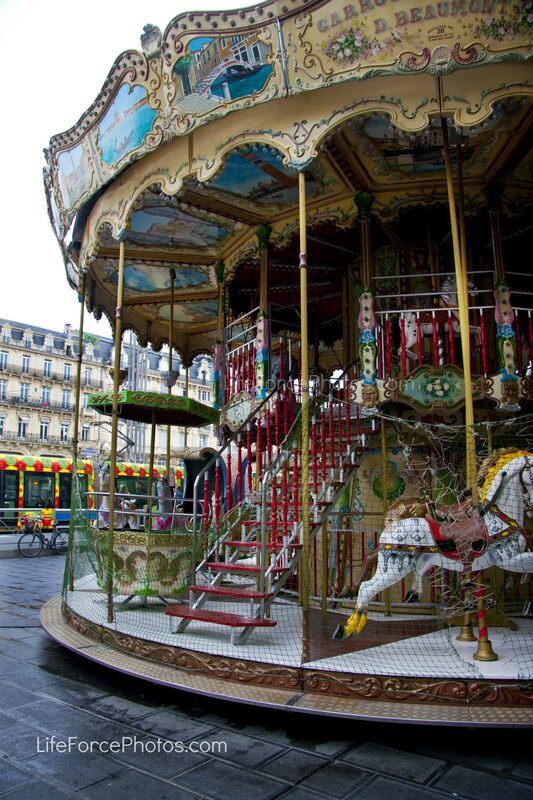 Early one morning, while the stores began to open and set up their cafes, I photographed an old carousel that stood in the middle of the silent city streets. I noticed that a flea market was coming to life, the flower stands were opening and, slowly, people were emerging out onto the streets until the square was buzzing with people and filled to the brim. I walked and watched the activities that went on. Students in the midst of their art lessons in the park, crepe restaurants with their amazing aromas, music in the streets and cafes filled with laughing people. The window below I found when I turned my head for an instant. This city is like that. One minute you are thinking about what to do next and the next moment there is a perfect scene to photograph. 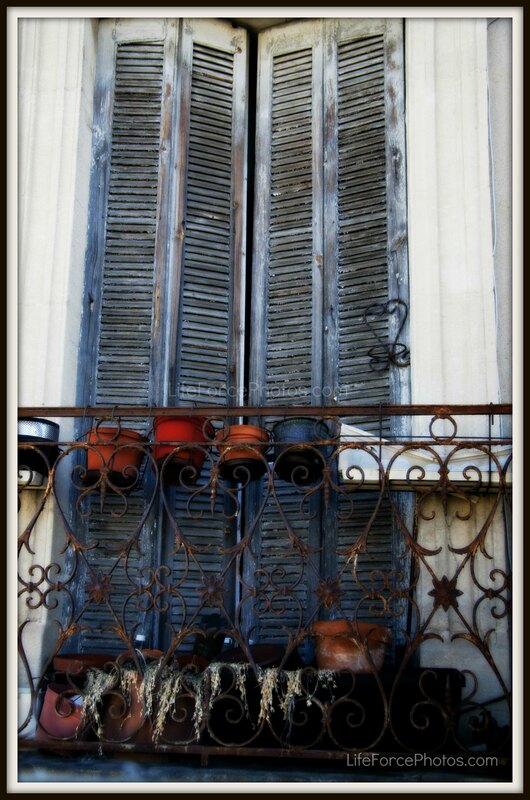 Walking through the city for hours I found some great windows that reflect the ambiance of France. This is a city that is free and easy. The scene of this city neighborhood is common but for me it is amazing. My next blog will be about a short trip to an old medieval town, Saint~Guilem~Le~Desert, that lays just north-west of Montpellier and is steeped in history. Please check out www.LifeForcePhotos.com for more photographs. I will be having a Photography Showing July 7th, Saturday at 3 p.m.Penelope’s Cafe, Books & Gallery. Look for more information soon on the event in the near future.